For decades, Johnny Pacheco has been at the center of the Latin music universe. His nine Grammy nominations, ten Gold records and numerous awards pay tribute to his creative talent as composer, arranger, bandleader, and producer. Moreover, he is the pioneer of an unforgettable musical era that changed the face of tropical music history, the Fania All-Stars era. Throughout his 40-year involvement with the development of Latin music, Johnny Pacheco has received many kudos for his extraordinary genius. In November of 1998, he was inducted into the International Latin Music Hall of Fame. In 1997, he was the recipient of the Bobby Capo' Lifetime Achievement Award, awarded by Governor George Pataki. In 1996 the president of the Dominican Republic, Juaquin Balaguer bestowed him with the prestigious Presidential Medal of Honor. In addition, Pacheco was presented with the First International Dominican Artist Award from the distinguished Casandra Awards. 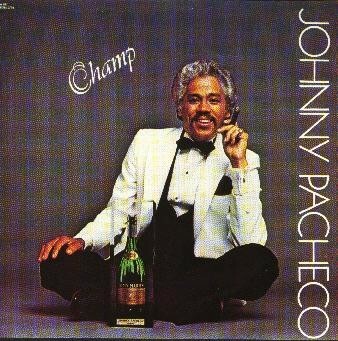 In June 1996, Johnny Pacheco was the first Latin music producer to receive the NARAS (National Academy of Recording Arts & Sciences) Governor's Award in New York City. Pacheco's pioneering musical approach has made him one of the most solicited producers in Latin music. He has worked with many of the best Salsa artists like Celia Cruz, Willie Colon, Hector Lavoe, Ruben Blades, Cheo Feliciano, and Pete "El Conde" Rodriguez. His resume also includes producing the hit song "Bailando Salsa" for the Spanish pop group, Mecano whose album sold half a million copies one month after its release. Johnny Pacheco also co-wrote and produced three songs for David Byrne's first solo album entitled Rei Momo. He has written more than 150 songs and most of them are now classics. 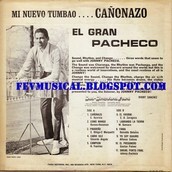 Among them are "La Dicha Mia", "Quitate Tu Pa' Ponerme Yo", "Acuyuye", "El Rey de la Puntualidad", and Tito Puente's "El Numero Cien". 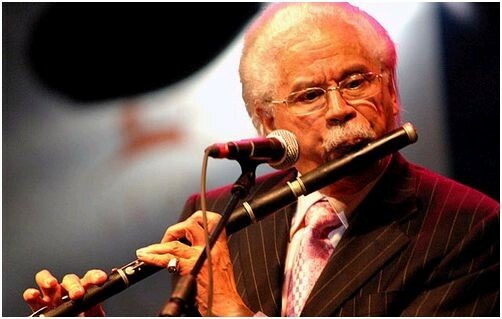 Pacheco has also been inspirational to the younger generations.He recorded and performed with the group DLG as a guest artist in one of his own compositions. Rap artist Mangu asked this Latin legend to write arrangements, sing chorus, and play the flute in his album Calle Luna Y Calle Sol. Mr. Pacheco has also produced music for feature films. He was the musical director of the film, Our Latin Thing, the first film about Salsa and its influence on New York Latinos. In 1974, he worked on a second film entitled Salsa. During the 1980s, he wrote the musical scores and themes for the film Mondo New York and Something Wild. The last one was in collaboration with David Byrne, leader of the group Talking Heads. His most recent work in the movie industry was the feature film The Mambo Kings released by Warner Brothers. Born in Santiago de los Caballeros, Dominican Republic, Johnny Pacheco inherited his father's passion for music. Rafael Azarias Pacheco, his father, was the bandleader and clarinetist of one of the most famous orchestras of that time--the Santa Cecilia Orchestra. It was his father that first put a musical instrument into his son, Johnny's hands. At the age of 11, the Pacheco family moved to New York where he continued polishing his musical skills. He learned to play accordion, violin, saxophone and clarinet. He attended the Julliard School of Music where he studied percussion making him the leading percussionist of the time. He performed and recorded with the most important American artists. He then learned to play flute. He is recognized as one of the top flutists of his era. In 1960, he organized his first and legendary orchestra, Pacheco y Su Charanga. The band signed with Alegre Records and its first album Johnny Pacheco Y Su Charanga Vol. 1 sold over 100,000 copies within the first year, becoming the best selling album of the time. The album is a classic. Beginning then and through the end of 1963, Pacheco introduced a new dance craze called "Pachanga". He became an internationally renowned star. He toured extensively throughout the United States, Europe, Asia, and Latin America. Moreover Pacheco Y Su Charanga, was the first Latin band to ever headline the Apollo in 1962 and 1963. In late 1963, his career took another historical turn when he created Fania Records with Jerry Masucci. 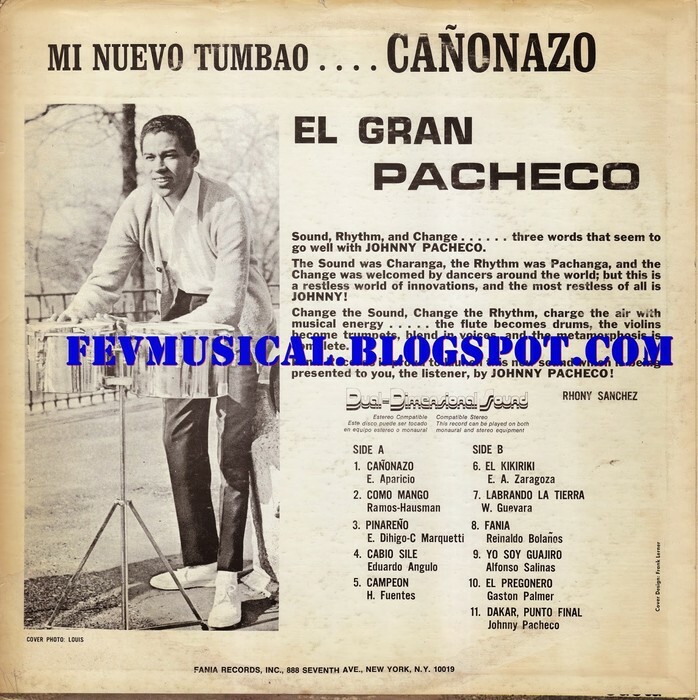 In 1964, the label released Pacheco's next endeavor entitled Canonazo featuring a switch from the Charanga to Conjunto style. As the company's executive, creative director and musical producer, he was responsible for launching the careers of many of the young stars that formed part of Fania Records. In 1968 he gathered many of the musicians from the label and showcased them together in concert. This marked the birth of the legendary Fania All-Stars. In 1971, this orchestra consisting of Fania's elite exploded all over the Salsa scene starting an incredible musical era for Latin music that has continued for over 30 years under the masterful direction of Mr. Pacheco. For more than 40 years, Mr. Pacheco has been one of the most in-demand artist in the music industry in general. He has performed as soloist and guest artist in many Jazz Festivals worldwide. He has played with the best Latin musicians of the century including Perez Prado, Xavier Cugat, Tito Rodriguez, Tito Puente, and Celia Cruz among others. He has performed and collaborated with many legends of Jazz and popular American music such as Quincy Jones, Stan Kenton, Tony Bennett, George Benson, Sammy Davis, Jr., Ethel Smith, Stevie Wonder and many others. Johnny Pacheco is deeply committed to the improvement of the Latin community worldwide. He demonstrated his solidarity with the victims of Hurricane Georges by collaborating with the Hispanic Federation Relief Fund during "Hurricane Georges Relief Fund 1998" transmitted live across the northeastern United States by the NBC television network and by participating at an event at Hostos Community College. He also participated in the AIDS benefit concert Concierto Por La Vida, in November 1988 at New York City's Avery Fisher Hall. In 1994, he established the Johnny Pacheco Scholarship Fund demonstrating his love for music and commitment to higher education. Each year a college freshman is honored with financial support and Mr. Pacheco's blessing. He says, "My hope is to give a young aspiring and talented musician a chance to develop as an artist and benefit from a college education." The music of Johnny Pacheco Y Su Tumbao Anejo continues to bless the Latin music industry. He remains highly active in the recording industry performing and recording with his group as the guiding force behind the best tropical music. Always ahead of his time, he is one of the most admired and loved musicians on the music scene all over the world. Johnny Pacheco is a pioneer, an innovator and more importantly a living legend.